Another lovely design from Brazilian knitter, Felipe Cavalheiro, who follows Elizabeth Zimmermann's Percentage System (EPS) to construct the sweater. The yoke design and colors are inspired by sweaters from the Swedish Bohus Stickning period, a halcyon period in the history of knitting. 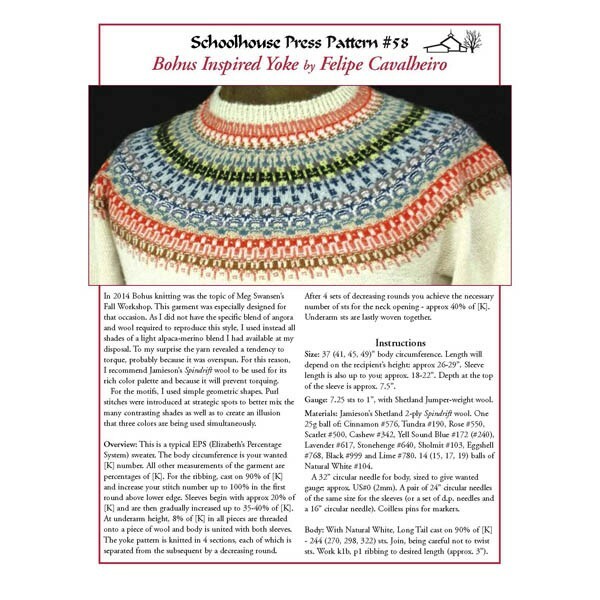 Bohus designs are unlike any other traditional motifs, and Felipe's original yoke design is intriguing to knit and striking to wear. Click each individual product to see product's images, features and description.